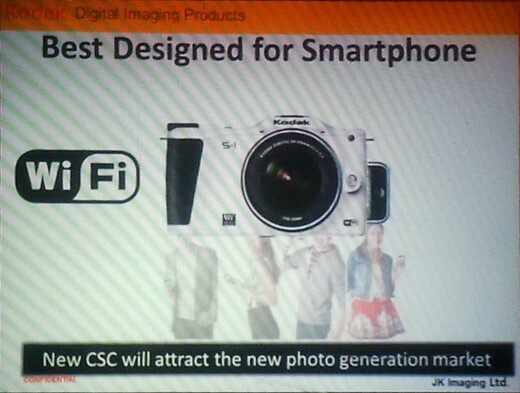 Really hope they put a Kodak sensor in it! I mean whats the point calling it Kodak without there sensor technology in it? its like calling a intel based computer for Amiga!! I also like the Kodak sensor, like I like the Foveon sensor! Kodak doesn't make sensors anymore - its former sensor division was sold off in 2011 and is now called Truesense Imaging. Besides what Richard says, Olympus was well advised to stop buying sensors from Kodak after their attempt to provide a live view capable sensor resulted in the worst sensor of all FT cameras, the 10 MP interline CCD of the E-400. While it did deliver excellent low ISO JPEGs out-of-cam, high ISO was catastrophic and it turned out not to be up to the task of delivering decent live view. At least that's what I gather from findings on the Net. As an e400 old user, I still remember the fabulous low iso images that I used to take with its Kodak sensor. As you said, hight iso was not so good. But all in all, it was an excellent small camera. what is the sensor inside of it? really a Sony as Mirrorless rumors site reported ? if it is really a Sony sensor , I wont get one , I do not like Sony sensors , especially the way they render skin tone. I hope it will be a REAL Kodak CCD. Kinda tired of boring CMOS from Sony and Canon. With respect, sensors don't render skin tones. A combination of their colour filter array and the configuration of the image processing defines that. Besides Richard's point, Sony is making some of the best performing sensors in the world. The Kodak CCD sensors like the one in the Leica M9 is quite good, but it does not outperform the FF sensors from Sony. When is the last time Kodak was really selling a lot of sensors anyway? Are people clinging to the "magic colors" from their old Olympus E-1's and the like? This is just a Kodak branded product. There is no "Kodak" in this company or the camera. Richard is right, it is the processor that converts the data from the array to an image. Anyway, the 16.3MP APS-C Sony sensor that is used by not only Sony, but Nikon, Pentax and rumour has it, Leica in their X2, is the stuff of legend! I am sorry to hear that you dont like Sony sensors. It makes it much harder for you to buy any camera if you have that prejudice. BTW - I have got one of them Sony sensors in my K-5. ..and next year we get a FF from China..
What could possibly be wrong with that? Chinese companies like Kinefinity are making some excellent gear like the KineRaw S35, which is a 2K Cinema camera similar to the Red Scarlet. They are about to release the less-expensive Mini S35 which is going to be a strong competitor to the Black Magic Cinema Camera. Competition comes from many sources and is always a good thing. Besides that, you are aware that Kodak was one of the most important Camera/Photo companies the world has ever known? The key word about Kodak's legacy is "was". This startup company has nothing to do with Kodak except buying the rights to use the brand on products it will market. That would be about time. Heck, I'd be surprised if the only reason we haven't seen one is because the Chinese haven't exported their Canon-clones yet. So why has this not been announced by Olympus and Panasonic who own the closed microFT standard or have they given that up. There is no mention of the latter on mFT web site. Could it be mirrorles four thirds instead? G Sciorio - that's not quite true - Micro Four Thirds is /a/ mirrorless system that uses a Four Thirds sensor. Noticeably it's a different mount specification with a different flange-back distance. I think what sphexx is suggesting a Four Thirds mount camera that doesn't have a mirror. The camera shown here isn't deep enough for it to be that, though (and I think the lens shown here is too close to the Olympus m.Zuiko 14-42mm II design for it to not be related). And, although the logo on the front of the camera is too small to make out in detail, if you measure it, it's closer to the 16:9 aspect ratio of the Micro Four Thirds logo than the 4:3 design of the Four Thirds one. I don't like the idea of putting the sensor in the lens because it leads to duplication. If you buy five lenses, then you are also buying five sensors. If you want to upgrade your sensor, you have to buy five more lenses instead of just one new camera body. It's good to see the name and the KODAK logo alive and on a digital camera again. I kinda missed it. I guess. Kodak marketed some good cameras but they sold a lot more cheap junk. I suspect the latter from this startup that's Kodak in name and logo only. I like to know more about it, but it looks like nothing like Kodak, beside the logo. 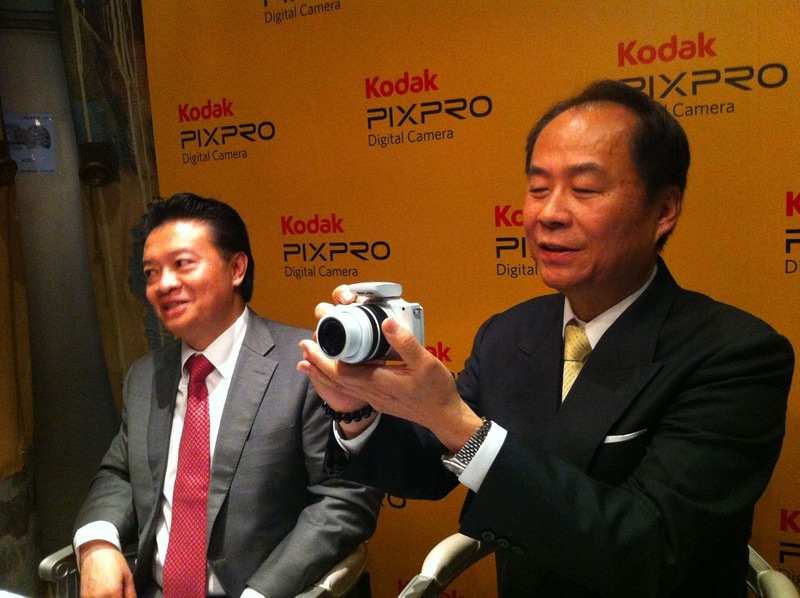 See, it only took the Chinese a week to figure out how to make money with the Kodak name in Digital. Kodak could have done this 3-4 years ago. Yeah, probably a poor generalization on my part. I can't find out enough information about JK Imaging to know what work is going to be done where. Why does American company introduce their camera in such a way? It looks like a Chinese company is presenting its product to Chinese market. and more so not used it.. ! How do you know how it is..... ? More MFT cameras is a good thing for the market ! If they open-source the firmware, a paradigm shift can occur.